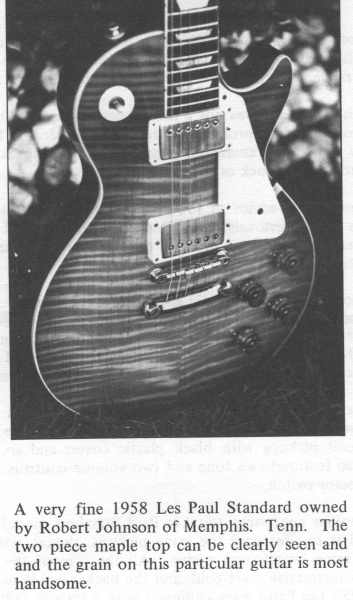 It finally got revealed that the ‘burst Slash has recently bought is in fact the Robert Johnson ‘burst (9 0592). He plays the new burst in this video. If your post is directed at my OP, and if such news is not interesting enough for you, why don't you just move on? Lol at the photo above, that's exactly what I was thinking ?! So who's the other Robert Johnson? You do realize that within months of buying the guitar, he played it in a video for the world to see and hear. The video has cool lights btw. That's a weird comment. Slash was pretty much the guy that turned me onto bursts and in turn, vintage gear in general. I was probably a bit late to the game. Even though I'd always played Les Pauls, it wasn't until I got his book in 2007 (I was 24) that I'd read about him buying the Joe Perry burst and realizing that it was the guitar in the November Rain video (which I'd always thought was THE coolest guitar) and then I slowly became aware that vintage LP's were a whole other animal. Since then I've seen him feature a few different bursts and korina's in different media. Some people might stash them away but Slash is a missionary where this stuff is concerned. Hide it away or gig it every weekend, who cares? It's a thing. A very nice thing, but still a thing, and he can do with it what he wants. I think Slash got rooked, the one he bought looks nothing like this one.